Give your Aston Martin the service it deserves in the hands of our fully-trained and experienced technicians. If over three years old, ensure your Aston Martin is roadworthy at our state-of-the-art facility. Our care and support continues after purchase, enhancing your Aston Martin ownership experience. We understand only too well what your car needs to keep it at its best. We offer the full range of official accessories, and only supply genuine Aston Martin parts. 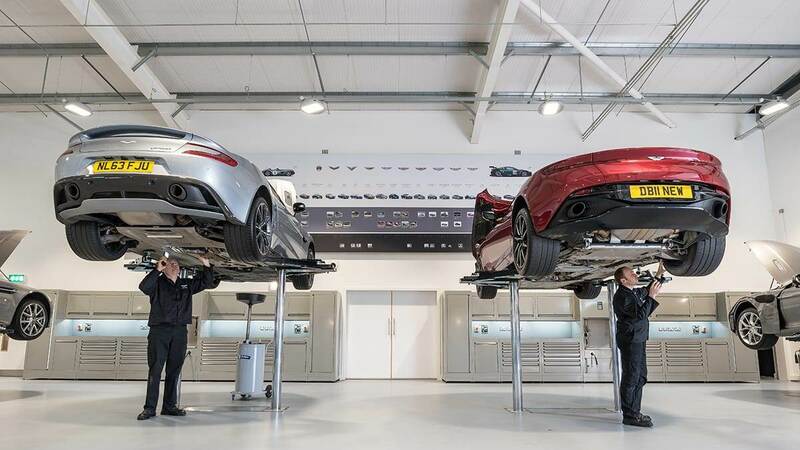 At Aston Martin Newcastle, you’ll find one of the most contemporary and well-equipped facilities in the country for keeping your Aston Martin in perfect condition. Not only do we have excellent customer care, but also a team of truly professional and experienced Aston Marin technicians who will know your car inside and out. Whether you’re booking your car in for servicing, an MOT or repairs, we ensure the work will be carried out with outstanding calibre.